Food was great! I'll definitely go back! Good food and great service, although it took awhile to checkout because they didn't have small bills to make change and had to go get some. The service was quick and good, and the food was delicious!! This place is great!. Generous half portion and impeccable service :) I’ll be going back again soon. SO delicious! Loved the chat and mago lassi. 10/10 will come again! Great service, delicious food, customizable spice/heat! The chicken tikka masala and lamb vindaloo are excellent. The meat was fall off the bone tender. Highly recommend the naan as well. Will be returning. Number buttons never work to rate from 1-5, I gave it a 4. Mela is a great option for Indian food- there aren’t many others around, but the quality stands out. I do think their menu (lunch/dinner) is a bit pricey, especially for takeout. Food was excellent. Would definitely recommend! Great local, authentic Indian food. A little pricey in my opinion but still very good. Nice ambience, and the food was delicious. Enjoyable and a great value. The food was delicious and the atmosphere was great. Also reasonable prices for the amount of food. It was good. I got my meal to go and they didn't provide me with forks or napkins. Also without the coupon, I would say the meal was a little expensive for what it was. Mela was great, their vegetable samosa appetizers are delicious! And the owner is very courteous. 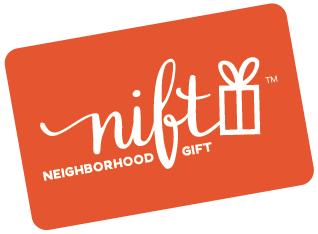 Quick friendly service and ease in the use of the Nift gift card. Very attentive and kind staff. Delicious food. Will definitely be returning! We loved it! The food was delicious!! Wonderful food and service! The waiters filled our water consistently and were friendly and hospitable. Will definitely come again! The goat curry was great and the service was attentive. I really enjoyed mela. It was a bit on the expensive side, but they’re vegetarian dinner for two option was delicious. Additionally, the restaurant had a nice atmosphere for dining in. Meat was overcooked but service was friendly and attentive. Menu was pricey. Really great place and food. Thanks! I really enjoyed it. The food was delicious! Used the coupon for take-out and the food was delicious! Favorite south end restaurant! I love the staff here. And the food can't be beat! The food was great for the most part. Our grilled meats were passable, but overall I would recommend this place. They should also really subscribe for commercial free pandora. It ruins the atmosphere a bit to hear commercials in a restaurant. Excellent! Cauliflower is particularly nice and fresh. Glad to find you! I’ve been going down to Quincy for Indian but this was great and so much closer! Picked up dinner from Mela tonight. Quickly prepared and delicious! The food is more expensive than other Indian restaurants in the city, and not necessarily any better. They don’t give papdum like most other places and most of the food is extremely rich to the point of excess. The naan is amazing though and the staff very nice and attentive. Super friendly, food is excellent! Food was great. Service felt a bit rushed, but definitely attentive. The food was delicious, and they were very friendly and polite. Their quote time for food was way off, it took about double the time they estimated me. Other than that, I would definitely go there again. This was a great place! A little pricy for lunch but food was great. Extravagant biryani and exquisite service. Highly recommend. Very good food and nice staff. Loved the Taj Mahal beer and yummy Naan! The food tasted delicious! Very impressed. The meal I got was very tasty, although it was a bit oily and pretty expensive. I went with someone who lives in the neighborhood but hadn't been to Mela. It was good and I'll be back. Nice ambiance and delicious food! I'll be back! great food and fair prices. Yummy! Excellent service too. Highly recommend coming here. Good quality food with nice flavor. Only one note, we ordered two meals and ran out of rice about 2/3 through. Delicious food, extensive menu of Indian dishes, courteous and prompt customer service, highly recommend! Brunch buffet tasted great and was very filling. The staff was quite friendly too. I had asked a friend how was it when she went, she said it was an good experience. I too liked the experience of trying Indidan food for the first time. I also thought the restaurant looked nice with its low lights, though the music of American rock sort of threw me off, but they changed the music later. Over all I will come back and experiment with the food. Gem of a place so close to home. Loved it and will be back soon. The food is delicious and the ambiance is very cozy. Delicious! The garlic beef and garlic naan was perfection. The best Indian food in the South End! Friendly staff, quick service, and welcoming atmosphere. It was great! We will definitely be back!